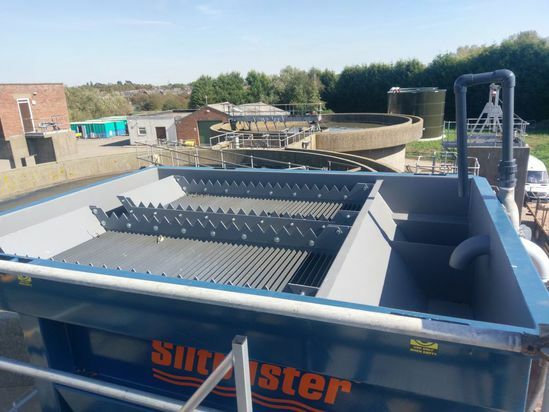 Siltbuster Process Solutions, one of the UK’s leading suppliers of treatment systems for the municipal and industrial wastewater sectors, has unveiled the latest addition to its range of lamella settlement tanks – the HB50M. The HB mobile unit effectively removes suspended solids from wastewater, using inclined plates to maximise the settlement area. In response to calls from municipal plant operators, the new Siltbuster HB50M has been developed with the view to maximising performance within a small footprint. It has been specifically designed for municipal applications and can operate at flow rates above 50 m³/h depending on the application. 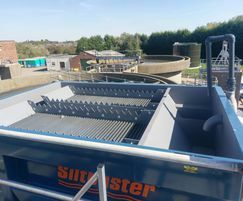 The new unit incorporates a large sludge hopper, with steeper sides, for improved sludge thickening and de-sludging performance whilst the unit’s double discharge weir enhances flow distribution through the lamella plates leading to improved discharge performance. The HB50M is manufactured with dedicated lifting points and a removable skid, which incorporates fork lift slots. For permanent installations, the unit can be provided with feet and bolt holes rather than a skid. The unit is normally supplied with an auto-desludging system, where the frequency and duration of desludging pump operation can be set by the user. In addition, a side access walkway is available, offering inspection and maintenance access to the top of the unit. As with all of Siltbuster’s settlement tanks, the HB50M can also be combined with its range of chemical dosing equipment allowing enhanced removal of fine, slow settling solids where required. Dafydd Passe, Senior Process Design Engineer at SPS, said: "This latest addition to our lamella settlement tank range is a significant step forward, and signifies our commitment to continued development of our product range. It is already available, both for hire or purchase, depending on the site’s requirements. Whilst it has been designed primarily to suit the requirements of the municipal sector, it can of course be used for many other industrial applications where suspended solids need to be removed from waste water. We have received great initial feedback on performance, so we are excited about the contribution this unit will make to our business." Ralf Sims, Mechanical Design Engineer for nmcn, added: "We were fortunate to be the first Siltbuster client to try the new HB50M and we have not been disappointed. We had two new units deployed at Balderton Sewage Treatment Works, allowing us to carry out essential work on Severn Trent’s primary settlement tank half bridge scrapers. The small footprint of the units allowed us to adopt an unusual set up on a raised platform - in order to minimise pumping requirements - and using these temporary settlement tanks allowed us to carry out the works, confident that we were not putting discharge compliance at risk. We would have no hesitation in using them again in future where circumstances require."